Wake up and smell the s’mores! Summer camp is starting and first timers may not know what’s in store. Registering for sleepaway camp, potentially a while ago, was a smart choice yet it may have seemed like a distant concept. Guess what – it’s really happening – like now! With trunks getting picked up and campers shipping out in about a week, Maine Camp Experience polled its 33 camp directors for the 411 for first-time families on how it’ll all go down. Q – How and when do directors notify parents that campers have arrived?A – Majority of camps notify parents when campers arrive by email and recorded phone calls. Other notification from camps may include a blog post on the first evening and personal calls within the first couple days. Q – How do you welcome first-time campers?A – Camps host fun get-to-know-you games and teach camp songs. Some deliver welcome packages. Many also have bunk “meetings” to discuss what it means to be a good bunkmate/ally. Camps review schedules and introduce senior camp staff. New campers take camp tours which often involve veteran campers to help the new campers get oriented. Some camps assign pen pals prior to camp beginning so the campers already “know” someone when they arrive. Big brother/sister programs are also popular and beneficial. 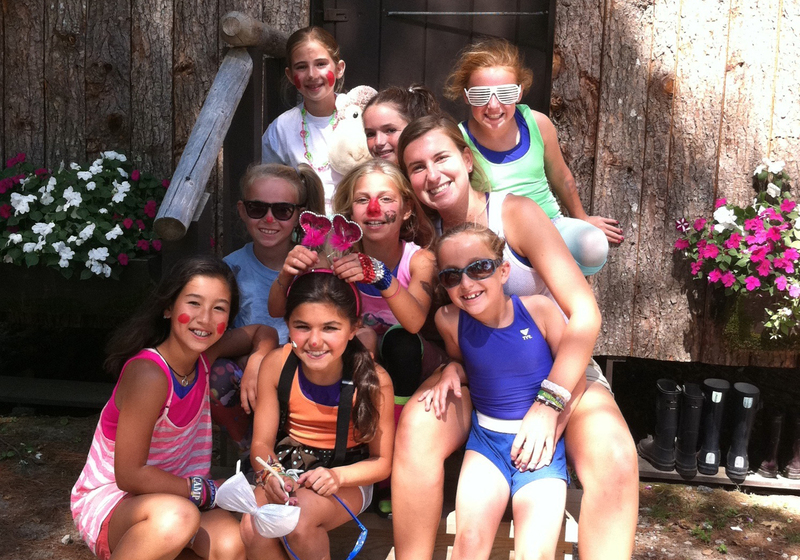 Q – Do you have/what are your first day camp traditions?A – Fun first day camp traditions get campers comfortable. Activities include: first night counselor variety or lip synch show to introduce the staff and entertain the campers, opening night campfire, raising the flags, playing games like Geronimo, and showing a newly created fun welcome video. First night dinners range from pizza and huge chocolate chunk cookies to wings, spaghetti and the opening night buffet. One camp’s first night dinner is the winner of a year-round vote by campers. Q – How do you build effective bunks of compatible campers?A – Bunk assignment placements are extremely well thought out. Directors tend to group by grade as campers typically socialize in school. Careful placements are then developed based on getting to know campers, from initial camp tours, as well as home visits. Directors are involved with campers (both returning and new) throughout the year to take into account personalities, friendships, and anticipated compatibility. Directors also use feedback from camper and parent questionnaires, as well as observe camper socialization at pre-camp get togethers. Others use an old-fashion board or index cards to architect the bunks. Some camps keep new campers together while others balance returning and new campers. Q – Do you have a big brother/big sister program?A – Several camps provide big brothers and sisters to help new campers get acclimated and connected. Big siblings are given anywhere from March-May, and some camps pair up campers once kids arrive at camp within the first day or two. Assignments may be made based on hometown geography (somewhat nearby), as well as interests and personalities. Big siblings help new campers tour, participate in occasional evening activities together, visit younger siblings at their bunks after evening activities to say goodnight, and sometimes sit together at special lunches. One camp matches in groups, i.e., an older cabin is matched with a younger cabin. Their first activity is scavenger hunt, and the two cabins are a team. In summary, everything is intentionally planned to deliver campers safely and successfully transition them for their inaugural sleepaway camp experience. Let your child experience being away and all that camp has to offer, and let the directors and staff serve as in loco parentis. Camps proactively contact parents when needed. Good luck to all the first-time campers and their families! Maine Camp Experience wishes everyone a wonderful summer. And, if you have friends or family thinking about summer camp for next year – NOW is the time to narrow down choices and book tours! Nothing can replace being able to see camps firsthand while they’re in session. For more information, log on to www.mainecampexperience.com or contact the Maine Guide who helps families make the right camp match: laurie@mainecampexperience.com. Maine Camp Experience is a community of 33 traditional sleepaway camps for boys and girls ages 7-17. The camps provide the perfect combination of natural beauty, strong traditions and values, and top notch instruction and activities in camp sessions ranging from 1-8 weeks. www.mainecampexperience.com is a comprehensive camp planning resource complete with camp selection tools, self-posted testimonials, and special offers such as earning JetBlue TrueBlue points for enrollments and referrals made now through Sept. 1 for 2015 enrollment – see mainecampexperience.com/jetblue for details.